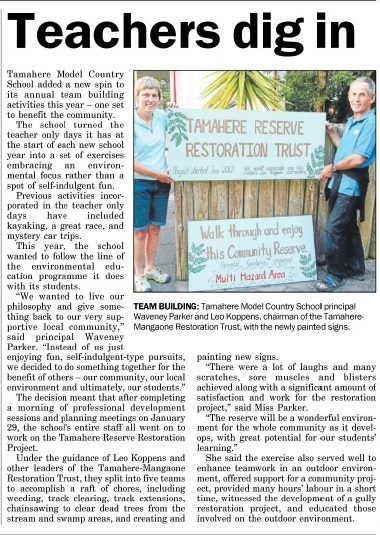 This year, the school wanted to follow the line of the environmental education programme it does with its students, the paper reported. “We wanted to live our philosophy and give something back to our very supportive local community,” said Parker in the page 8 story. Parker said there were “a lot of laughs and many scratches, sore muscles and blisters achieved along with a significant amount of satisfaction and work for the restoration project”.